Last 15 Years Questions of SSC Polity PDF – In order to further improve the competitive examination, today we have brought Last 15 Years Questions of SSC Polity in the PDF. 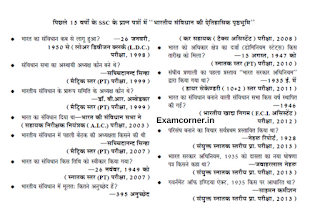 where questions are often asked in competitive examinations. If you are preparing for SSC, BANK, RAILWAY, IAS and other competitive exams, then this note will be very useful for all of you.